Home » Greenroom » Paper Towels & Hand Dryers: Which is The Better Choice? Paper Towels & Hand Dryers: Which is The Better Choice? Wherever you are, may it be in the workplace, at home, or a public place, germs can easily spread without you knowing it. And one of the most effective ways to stop the spread of infections is regular handwashing. Germs can be spread casually by touching another person or dirty surfaces such as door knobs, or even washroom sink. These harmful bacteria can cause illnesses and are invisible to the naked eye. This is why it’s important to make handwashing an everyday habit. Considering that 80% of infectious diseases are spread by the hands, there is no denying how important the hand hygiene is – it’s our first line of defence from bacteria. And while hand drying may not exactly be the same as hand washing, it still is an important aspect of hand hygiene. That is why even in drying your hands, it’s not enough that a method gets the job done – it also pays to know which method is doing the job right. 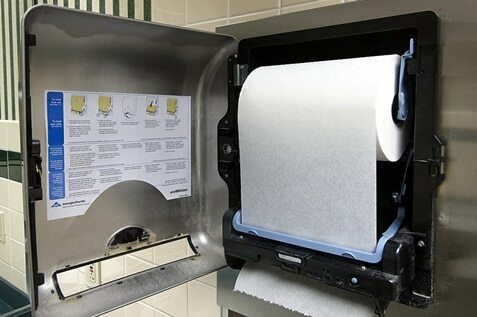 Are you better off drying your hands in an air dryer or with the use of paper towels? Which is the better choice? Reviews show that paper towels are the best choice when it comes to hygiene. This is the result that was left standing after a review of 12 studies evaluating the drying efficiency and removal of bacteria when using different towels and dryers. It was conducted by a biomedical scientist from Queensland University of Technology, Cunrui Huang. The review revealed that single-use, disposable paper towels are a clear winner in comparison with cloth towels, hot air dryers, and jet air dryers. “When looking at hygiene, it is important to remember that the transmission of bacteria is more likely to occur from wet hands than from dry hands,” pointed Dr. Huang. They dry hands more thoroughly in a shorter amount of time. One of the studies reviewed revealed that after 45 seconds under a hot air dryer, the residual water was reduced to 3% whereas, after 15 seconds of drying hands with a paper towel, residual water on hands was reduced to 1%. Compared to the paper towel, hot air dryers take 30 seconds longer to achieve a similar level of dryness and people don’t generally dry their hands for longer than 20 seconds. Dryer hands mean cleaner hands and using paper towels is more likely effective than a hot air dryer. 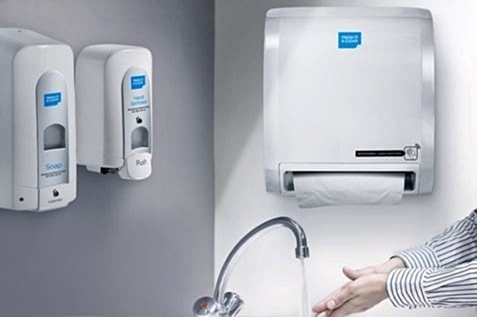 Not only do paper towels dry hands faster, the mechanical action of drying the hands with the paper towel also physically removes bacteria from your skin. Of course, most of the times, we don’t have a choice. 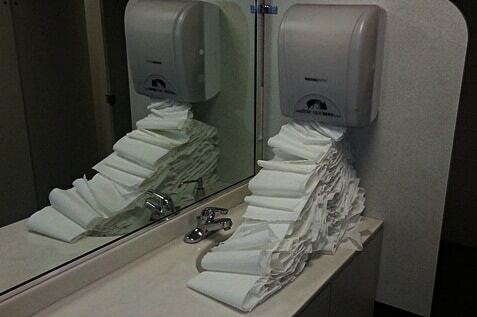 You are either presented with paper towels or hot air dryer, or both. Which is more cost efficient? While having an air dryer installed in your washroom can be more expensive compared to a paper towel dispenser, the air dryer saves more money over time. If you compare the amount of electricity consumed per of an air dryer to the amount of paper towels you’ll have to dispose of every day, not to mention the cost of trash removal and dispenser refilling that are still associated with paper towels. Sadly, trees needed to be cut down to produce paper towels and washrooms that use them consume a lot of paper. Whereas, if you use hot air dryers, you will only need electricity which is less resource-heavy than paper. Some found using cloth towels to be an excellent option, although they were excluded from the review because of their low occurrence in public restrooms. While they don’t remove quite as many bacteria as paper towels (45% as opposed to 58%), they are more cost effective and environmentally friendly. However, from an environmental point of view, you may agree that hot air dryers are less resource-heavy than paper towels and therefore superior environmentally. Washing your hands frequently means washing away germs that you have picked up from contaminated surfaces. This is why simple act of washing your hands regularly can make a huge difference in making your working environment a much healthier one for everybody. 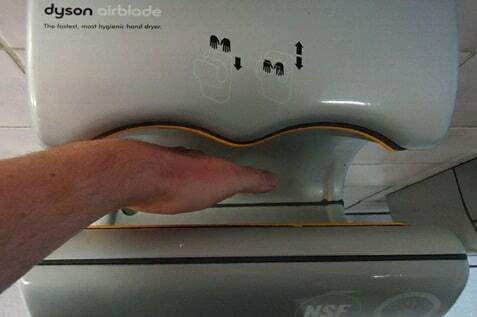 It’s probably going to be a tough decision to make, choosing between paper towels and air hand dryers. Both have great advantages but also have their own disadvantages. 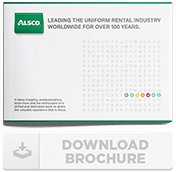 That’s exactly why Alsco is here to help and provide you with environmentally-friendly solutions for your business that are not only cost efficient but will also help you achieve optimal hygiene levels and ensure the quality of your services and products.